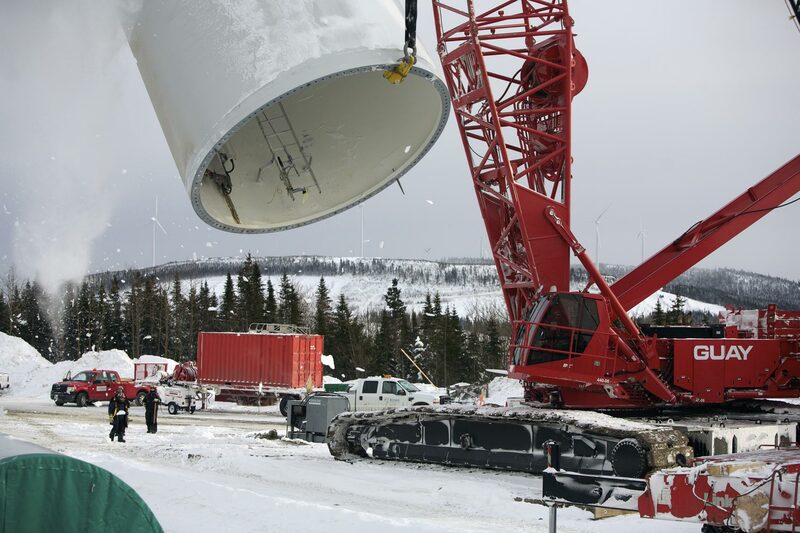 A crane lifts the mid section of a wind turbine tower during construction of the Mont Louis Wind Farm in the Gaspesie region of Quebec. This wind farm is owned and operated by Northland Power. Construction of green, renewable energy in Quebec is rapidly expanding.